This Tuesday is the day; Google closes three of its businesses that few joys have given the search engine giant, rather headaches. The one that has provided the greatest pain has been its great social network, which ran out of people. This April 2, Google also turns off Inbox, an email management app on the mobile, and another app that has gone unnoticed by users: Allo. Last October, the search giant announced the outage of Google Plus and did so after announcing a vulnerability that had exposed the data of “hundreds of thousands of users” between 2015 and 2018. The network was abandoned by Google and advanced its closure to April 2 after detecting a new breach: 52.5 million users affected by a new security breach. Now, the search engine giant turns off Google Plus and with it comes the erasure of thousands of data and information from Google’s big bet to steal the spotlight on Twitter and Facebook. Born in 2011, Google Plus never posed a threat to its competitors, although its ceiling reached it five years after its birth by hosting 1,000 million followers. Coinciding with the brightness of Google Plus, the search giant was launched by another business: instant messaging. A reign in the hands of WhatsApp and where Google was late. His previous attempts are counted as failures: Google Talk, Hangouts, Google Wave and where we can now add Google Allo. In its first week of life, it reached its peak of downloads, then its penance arrived. Allo came to the market with the novelty of integrating the virtual assistant of the search engine giant. It allowed to erase messages of the conversation, incognito mode, messages that lasted seconds, stickers … the best of the instant messaging apps, but it did not work. Their downloads in the Google virtual store reached 50 million, figures very far from the figures of WhatsApp, Telegram, iMessage or Line. He arrived late and left soon, on March 12, Google closed Allo. And the last closing of this “cleaning spring” is Inbox. With little more than 5 years of life, Inbox also lowers the blind, since the number of users who used this app is low. 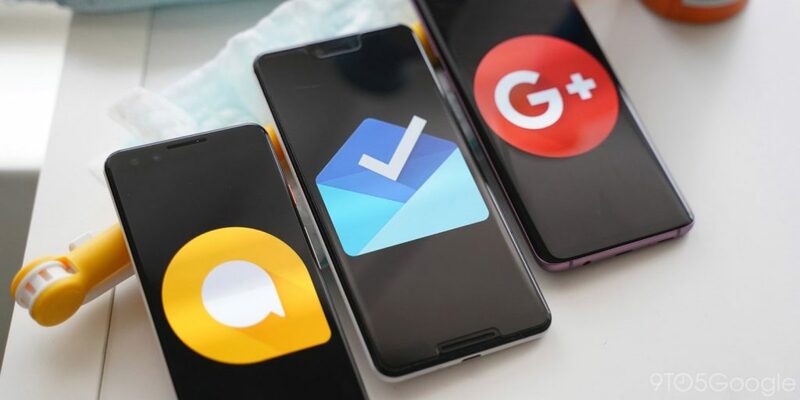 This small email app for mobile phones has been used over the last few years to test some features that have been slowly incorporated into the official Gmail app for all platforms. According to the Killed by Google website, the Mountain View company has cancelled 149 products, over its 21 years of life: 126 services, 12 hardware products, and 11 apps. Google ends the chronicles of an announced death of Google Plus, Allo and Inbox. This Tuesday is the day; Google closes three of its businesses that few joys have given the search engine giant, rather headaches.